Well, September is here. Lots of thoughts of fall colors, bonfires, football games, fun times with family and friends, and pumpkin spice…“you name it”. 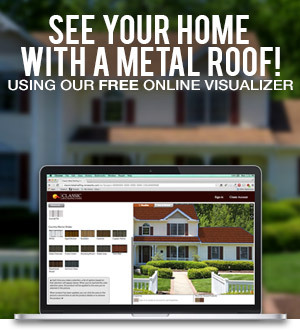 But, depending upon where you live, there are two major topics raising concerns for homeowners these days when it comes to roofing. 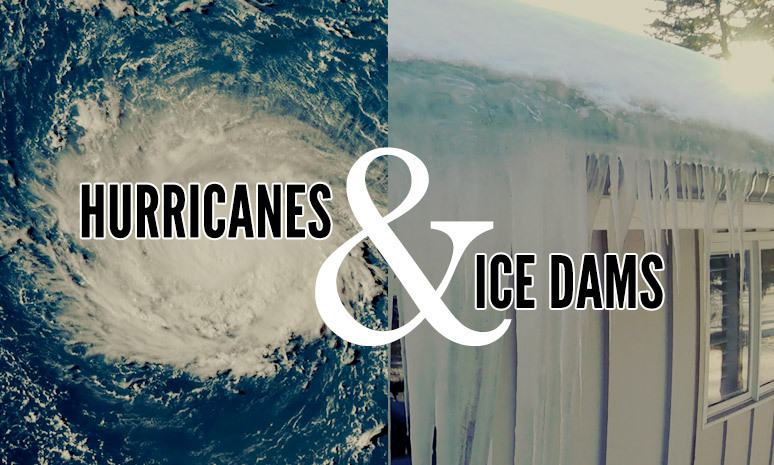 Those concerns are Hurricanes and Ice Dams; different things with different impacts but both equally threatening. So, let’s take a look at Hurricanes and Ice Dams and perhaps give you some food for thought to go with your pumpkin scone and your pumpkin spice latte. It looked for a while like the US would escape any significant activity this hurricane season but, as ocean waters have warmed, we’ve seen things change a bit, and it now seems increasingly likely that this will be a more violent hurricane season than earlier anticipated. While sometimes it can be aggravating to have to deal with new building codes, they do serve a purpose. We have observed much better performance from roofs and homes built according to these new requirements than from older structural designs. Your roof is only as safe as your neighbors’ roofs. Particularly in the instance of tile roofs that blow off, we have seen significant damage to roofs when materials from other roofs land on them. Similar problems can be caused by trees and limbs that blow against the house, setting off roof damages. Perhaps hurricanes are not a worry where you live, but maybe ice dams are. We want to provide some insight for you this month as well. Of course, for some of you in the northeastern United States, both hurricanes and ice dams could be concerns in coming months. After air leaks have been eliminated, having good attic ventilation is critical to vent out any heat that does make its way into the attic. It may surprise you but the goal is to keep your attic temperature as close as possible to outside temperatures during both the summer and the winter. Proper ventilation requires an equal balance of intake vents (usually at the bottom of the roof) and exhaust vents near the ridge of the peak of the roof. While many of the heating systems designed to melt snow and ice available today concentrate on the eave edge of the roof, they often do not heat far enough up on the roof to effectively relieve any ponded water. A product like Ice Dam Cutter,with heated bars that extend vertically up the roof, can work magic on troublesome ice areas by allowing melted water to escape the roof. Ice Dam Cutter needs to be combined with heat cable in the home’s gutters and downspouts so that the melted water can get away from the rooftop. If you continue to struggle with ice dams, give us a call at 1-800-543-8938. We’d be happy to talk through your situation and lend our advice. And, while metal roofing is not a “cure all” for ice dams, it can play a role in alleviating troublesome situations. So, with that, we do hope that you are well and safe this season and able to enjoy bonfires, autumn colors, pumpkin spice “everything”, and time with family and friends rather than be worried about hurricanes and ice dams. However, if you are in areas where those things can be problems, we hope that we have provided some helpful tips. Please contact us whenever we can be of help.